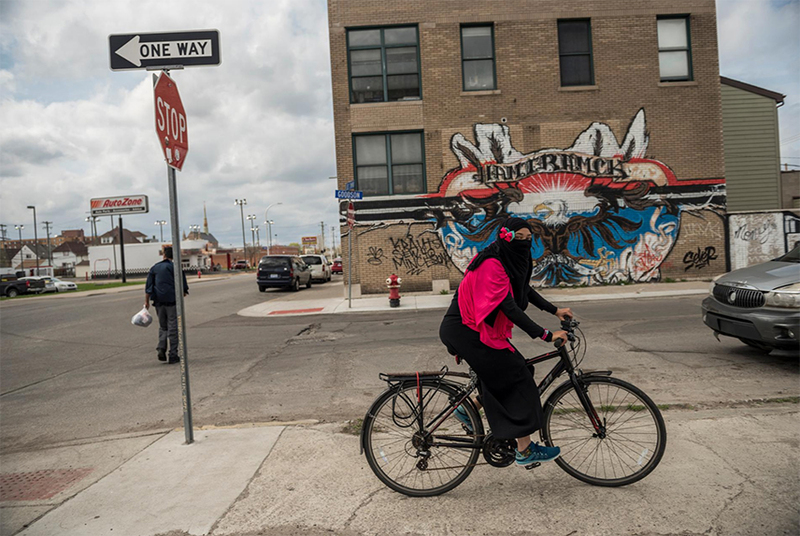 Lindsay Tukes, 25, whose Muslim name is Amiraldeen Alghazali, rides home from her class on the Quran in Hamtramck, Michigan. Hamtramck, a city surrounded by Detroit, became the first city in the United States with a Muslim-majority population. Muslims are also a majority on the city council. The city once attracted immigrants from Poland and eastern Europe. Today large populations of immigrants are from Bangladesh, Iraq, Yemen, Bosnia and Herzegovina, and African countries.